Victoria Windrows Perfection! 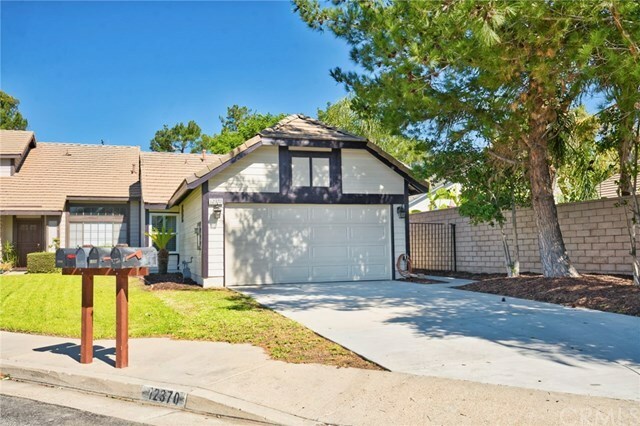 Tour this beautifully remodeled home ideally located in one of Rancho Cucamongaâs most sought after neighborhoods boasting manicured greenbelts, maintained walking trails, lush green parks, and award winning schools. This home is as inviting as the neighborhood. Feel welcomed in by the fresh new flooring, cozy living room and brand new shuttered windows. Venture further inside to find the completely brand new kitchen with an open floorpan, bar seating, and dining room. The brand new kitchen and dining room overlook the generously sized family living space complete with fireplace and sliding doors to the outside. The home is completed by a master ensuite and an additional bedroom, one full bathroom, and an attached two car garage. This home has been completely renovated with new roof, interior and exterior paint and is bursting with charm.